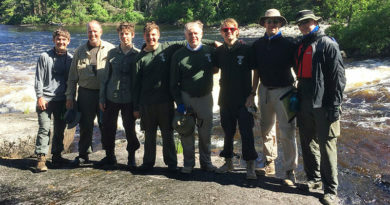 Jesuit freshman Will Florer, 15, recently attained the rank of Eagle Scout. His project for Troop 82 benefited Children’s Medical Center of Dallas. Florer designed and built 10 custom-painted lapboards to be used by patients in the Nephrology Department. He also donated $1,000 to the Child Life Department. The children who visit the hemodialysis unit at Children’s are connected to a dialysis machine for up to 4-6 hours at a time. They must remain in their chairs during treatment. The lapboards allow them to better participate in activities. Florer chose Children’s as his beneficiary because his special needs brother had 2 brain surgeries there as a baby. 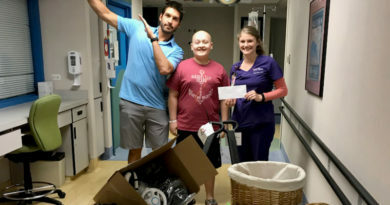 Since the hospital has served his family in many ways, he felt like this was a wonderful way to give something meaningful back to Children’s.